Trip Advisor recognises our wonderful asset! The ‘Visitor’s bible’ which is the website TripAdvisor.com has recently voted Narin’s Blue Flag beach in it’s Top 10 Irish beaches. Vying with such notable names as Curracloe, Inchydoney, Banna Strand, Strandhill to name but a few, Narin holds it’s own, and has some wonderful reviews from national and international visitors alike. 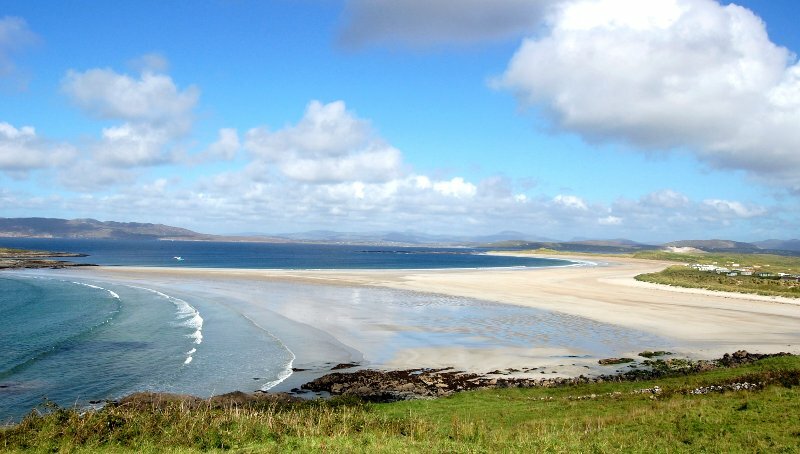 Narin strand was voted 9th of all the Irish beaches reviewed, commended for it’s clear waters, safe bathing and dearth of rubbish. When you see the high esteem the beach and the area in general is held in, it might prompt you to ask other visitors to rate the other amenities we have in the area. Word of mouth is always the best reference, so you too can do your bit to make the area a truly wonderful visitor experience.